We all have different requirements when it comes to zeroing down on smartphones. Mobile application development companies outline applications, which act as an icing on the cake in converting the tiny device into a life-changer for most of us. 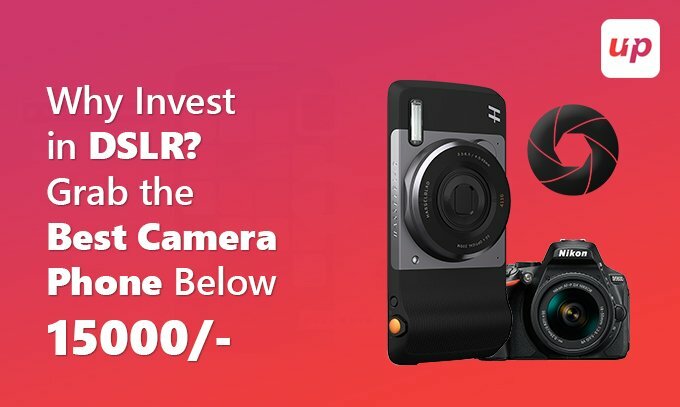 And when we have budding photographers in our group, then you can rest assured that smartphone selection will be based on the pixels offered by the company for a particular handset. Asus Zenfone 3S Max @ 12,999/-, a recent launch into the Indian market, has already gained quite a name for itself especially for the camera resolution offered in the handset. The front camera is an 8 MP shooter with 85-degree field of view and functions on Asus pixel master technology to click images with decent colors and faster focus. The selfies can be beautified right at the point when they are clicked and post-processed with in-build Apps from Asus. Image modes differ coming with HDR and low light options. The rear camera, similar to the one present in Asus Zenfone 3 max, features 13 MP, f/2.0 aperture lens with 5P largan lens accompanied by a Dual LED flash to click low light images. Xiaomi Redmi Note 4 @ 12,999/- and Xiaomi Redmi 4 @ 8,999/- both have equally proved worthy of being selected into the top list for offering best mobile phone camera but at the reasonable rate. Redmi 4 comes with 13 MP rear camera and has faster focus as well as improved camera algorithms. Redmi Note 4 comes with a fingerprint scanner fitted at the back wherein 13 MP forms the rear camera, having LED flash along with PDAF and 5 MP to shoot selfies in the front of the device. Telephoto lens with f/2.6 aperture. Standard 12 MP with f/2.2 aperture. Dual 12 MP cameras at the back. 4. Moto G4 @ 9,999/- has always proved too worthy of the price charged by the buyers. Not only the camera but also the overall functionalities of the device is commendable and is almost near to what Xiaomi has to offer. The 13MP camera with f/2.0 aperture lens does the work. The camera is simple to use. Jump into the Pro Mode to seek out the best of the camera. The set comes with Dual 13 MP rear camera with f/2.0 aperture to capture outstanding portrait shots. The front camera is defined as one that comes with 8 MP lens and dedicated flash. iPhones have proved to be the star when the quality of the picture, taken from its mobile camera is bought in comparison to the others in the mentioned list. In addition, the photo editing applications designed by the efficient iPhone application development companies take the images to an entirely different level. The images are no less than those captured by professional photographers from their high-resolution DSLRs’. However, they definitely do not go easy on your pocket until and unless you are willing to pay a hefty price divided in monthly installments. 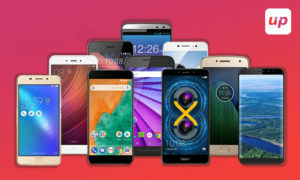 But, the point is why to invest such a bulk amount on a particular device, when there are innumerable options falling under the Android Operating System. The android app developers are nowhere less efficient in comparison to their competitors when the question of the quality of the mobile apps is raised. The mentioned list only proves that the smartphones can live up to any professional photographer’s expectations pertaining to the pixels offered in each of these sets. With fitting photo editing apps, the final image will be no less than a masterpiece. Top-rated mobile application development companies such as Fluper houses the required set of skills in its development team to inspire rendition of some unique photo editing applications for the Android users. So, why need iPhones to capture moments anymore? Being a Web Tech Lead and with a relevant experience, Vinay Kumar has gained the art of team and project handling to get the best out of them. During his career, he never stops learning new things. Talking about his interest, he is currently exploring innovative technologies that can bring transformation to businesses. I like the helpful info you provide in your articles. I?ll bookmark your blog and check again here regularly. I am quite certain I will learn lots of new stuff right here! Best of luck for the next!